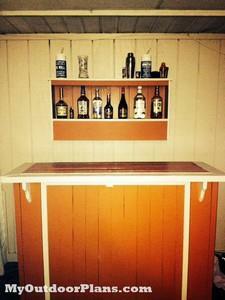 Build a home bar with a variety of free bar plans. 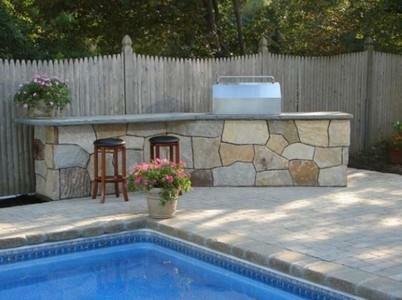 You can recycle a glass-panel door by turning it into an attractive outdoor bar using these instructions. 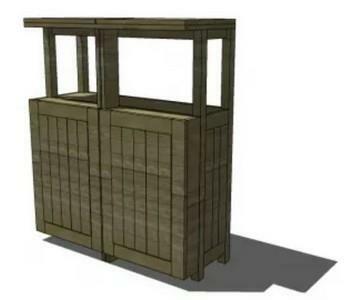 This bar plan has simple wood frame construction with attached side cladding, plus ample storage area. This bar is designed with hinges on each end so that it can be folded out when in use then folded in when not in use. Great for a small space. 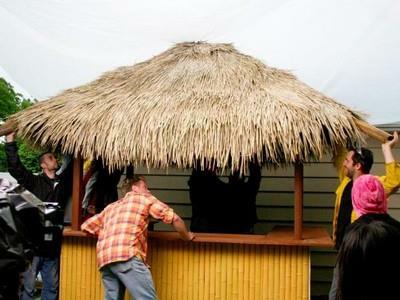 Build this square shaped tiki bar that has a thatched roof, bamboo accents and lots of countertop space. This bar is shaped like a wooden boat standing on end. 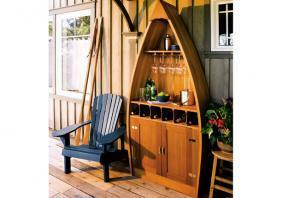 It has a cabinet at the bottom, a counter top, an area to hang wine glasses and more. 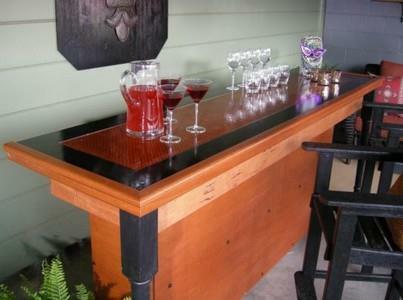 This project takes a salvaged door and turns it into a handsome countertop for a bar that can sit outside or inside. Build this indoor bar that offers a stainless steel foot railing, trimmed panels, oak bar rail and more. 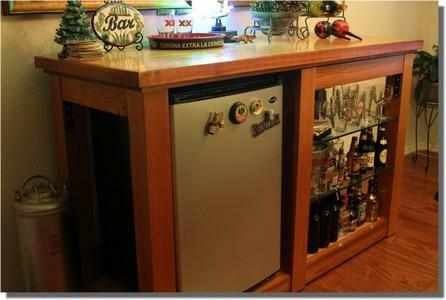 Here is a buffet-style home bar that has an area for a small refrigerator, plus glass shelving for placing cocktail glasses and liquor bottles. This bar measures 72 inches long and 42.5 inches high. It has a brass foot rail, oak armrest and a mock frame and panel design. 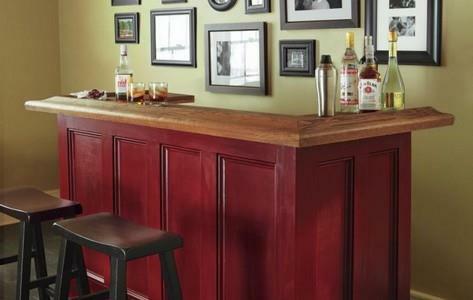 Follow these six steps for creating a solid wood bar that can be painted or stained to match the decor of the man cave. 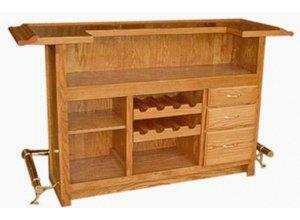 Build this hansome bar that commands atention with its rich oak construction and recessed panels.